Cloud inversions are caused when a mass of warmer air traps a layer of condensed colder air near the surface of the earth. This is called a temperature inversion because usually the air is colder the higher up in the atmosphere you go. If you find a high enough mountain or hill, you’ll be able to look down upon a fluffy blanket of cloud and mist that looks almost solid with just the tips of the highest landmarks and buildings poking through. It almost looks like a romanticized view of heaven and is, no doubt, a metaphor for some kind of class struggle. 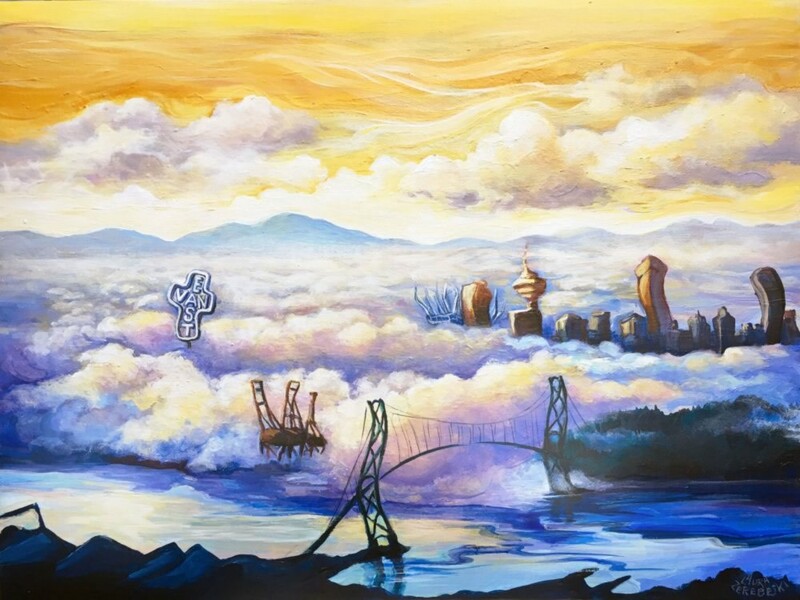 This was done in part as backdrop design for the 2017 East Van Panto.